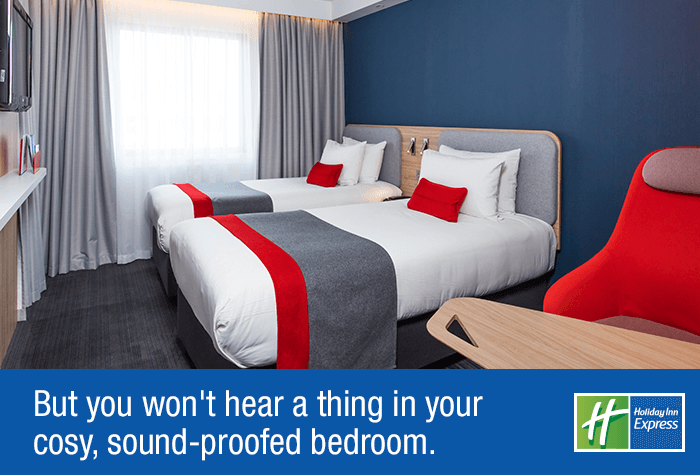 You can't go wrong with the Holiday Inn Express Luton airport. If the fact that it's the closest hotel to the terminal and overlooks the runway isn't enough to win you over, we're sure the inclusive buffet breakfast, free Wi-Fi and soundproofed rooms where you can choose your own pillows will. 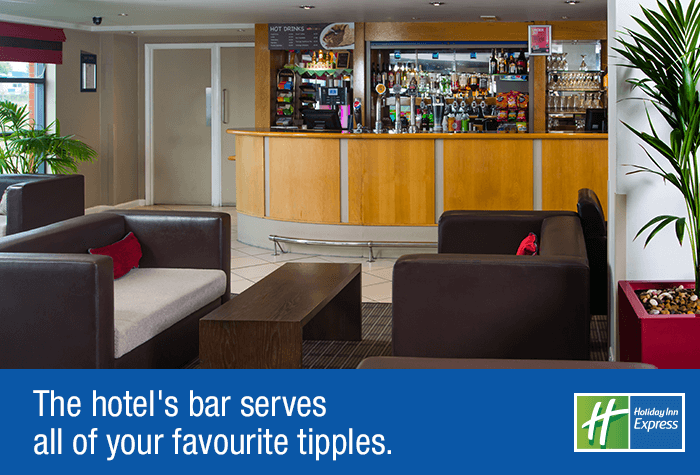 The Holiday Inn Express, because of its level of quality and price, is an extremely popular hotel. The atmosphere in the lounge is warm and friendly, and it's a great place to soak up the jovial spirit of other holidaymakers. Couples - The modern twin and double bedrooms sleep up to 2 adults comfortably and the lounge is great for grabbing a bite to eat and refreshment throughout the day. Friends - The Great Room lounge comes alive during the evening and there's a real sociable atmosphere - without being too loud or intrusive. Getting there - There's no need to wait for a bus. 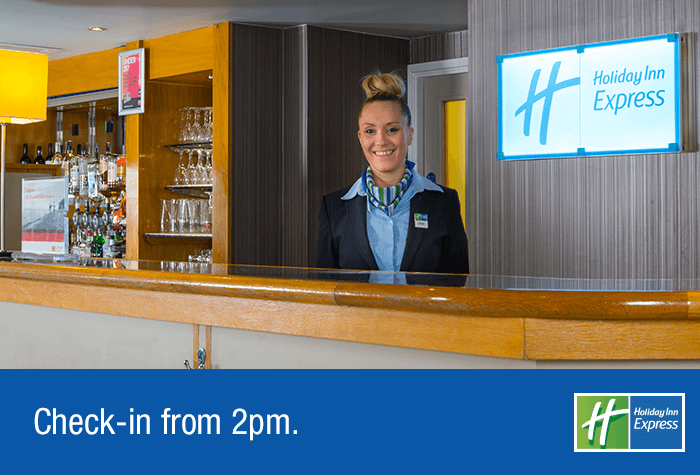 Check-in: You can check in from 2pm. Overnight parking costs £10. Arrival by car: Leave the M1 at junction 10 and take the A1081 Airport Way. At the first roundabout, go straight on. At the second roundabout take the second exit onto Percival Way. The hotel is on your right. By public transport: The hotel is only a 5 to 10-minute walk from the terminal. The nearest train station is Luton Airport Parkway - and you can get a bus from there to the hotel between 5am and midnight. Transfers run every 10 minutes and take about three minutes. The cost is £2.10 per passenger for a single ticket. Checking Out: You must check out by noon. When you're ready to fly, the 24 hour Arriva bus runs every 20 minutes Monday-Saturday and is £1.50 per person each way. Buses run every 30 minutes on Sundays. Otherwise, it's just a 10-minute stroll to the terminal. Cheap hotel and really near the airport. Rooms and breakfast good. Only bad thing is the pizza was £12 and was just a Chicago Town pizza which for the price is awful. 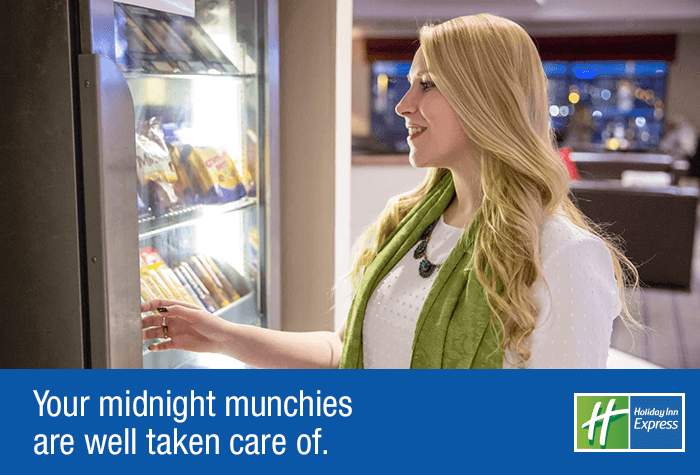 Our customers rated Holiday Inn Express on average 9/10 (793 reviews). Read Holiday Inn Express reviews. Our closest hotel to the airport, the Holiday Inn Express lies within the airport grounds and is just a short stroll from the terminal. Plus the included breakfast is a welcome bonus. Thanks to the hotels convenient location you can walk to the terminal in around 5-10 minutes. If you prefer, you can take the bus which costs £1.50 per person each way and takes about 2 minutes. Alternatively, a taxi transfer is about £7 each way. Check in from 2pm and check out by 12 noon. Overnight parking at the hotel costs £10 per car, if you need it. This package doesnt include parking while youre away. 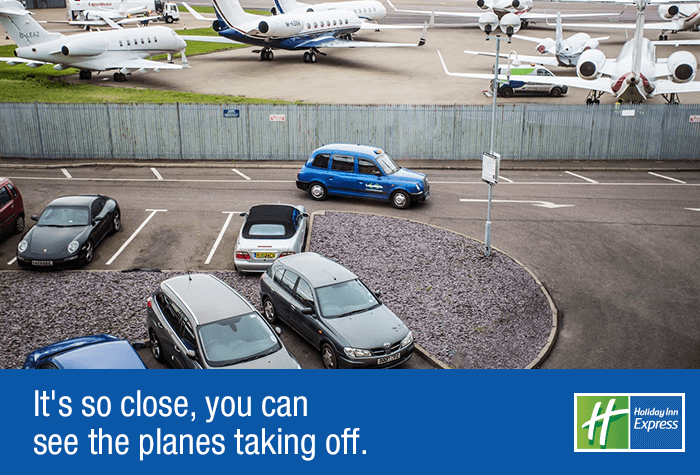 If you need parking for the duration of your trip search our airport hotel and parking packages instead. Well give you directions to the hotel in your confirmation email. Triple and Quad rooms at the hotel are a standard size and have a double bed and a pull out double sofa bed. 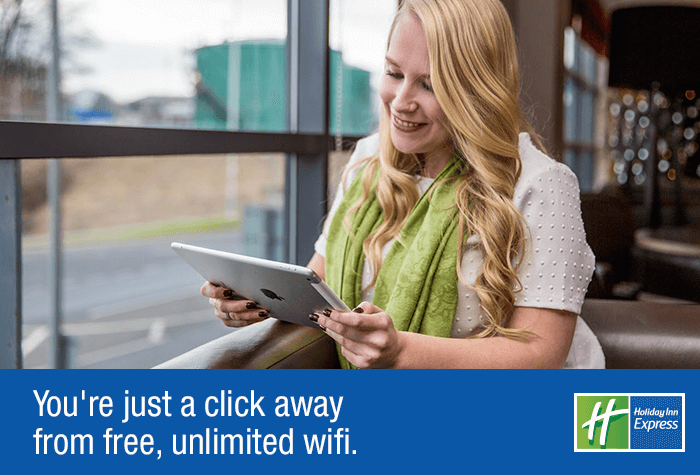 Wifi is free throughout the hotel, and available on one device per room. You can upgrade to a faster connection with a maximum of three devices, for £5 for 24 hours. If youd like to request an accessible room give us a call before you book. 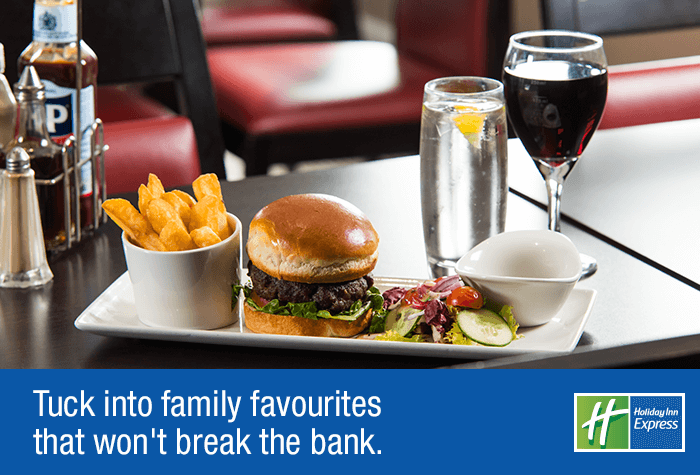 The Great Room offers a selection of reasonably priced favourites, including curries and burgers, plus light bites to keep you going throughout the day. If nothing on the menu tickles your fancy you can order takeaway to be delivered to the hotel. There are even menus at reception. 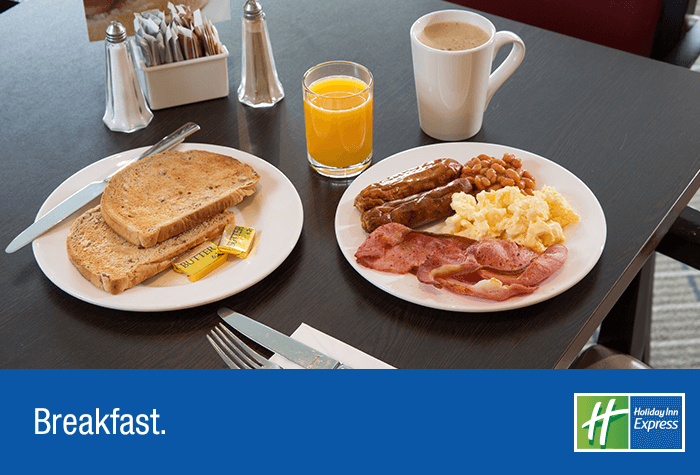 The free breakfast includes all your favourite full English choices plus continental items too. Breakfast served 6am - 9.30am. Due to the ongoing redevelopment works at Luton airport, your shuttle bus from your hotel to the airport may take longer than normal. We'd recommend you allow an extra hour to get to the airport particularly at peak times. Peak travel times for Luton airport are all day Friday, Saturday and Sunday and between 4am and 9am, 1pm and 3pm and 5pm and 7pm on other days. Disabled facilities Eight rooms in the hotel have been designed for disabled guests. These have a walk-in shower with a seat, two sinks and an emergency cord. There are six double rooms and two twin rooms. The hotel also has a lift, disabled parking spaces and an evacuation chair to help evacuate wheelchair users if there is a fire. Hearing loops and pillows which vibrate if the fire alarm sounds are available for guests with hearing difficulties. The hotel accepts guide dogs. The hotel has five pairs of interconnecting rooms, which would be suitable for disabled guests who want to sleep next door to their carers.